Our miniature railway was purchased from a commercial operator in 2015 and is now operated by museum volunteers. The railway runs on 7.5 inch gauge track, and can convey passengers of all ages. Edgeworth David is a small freelance 0-4-0 steam locomotive, named after the discoverer of the South Maitland Coalfields. 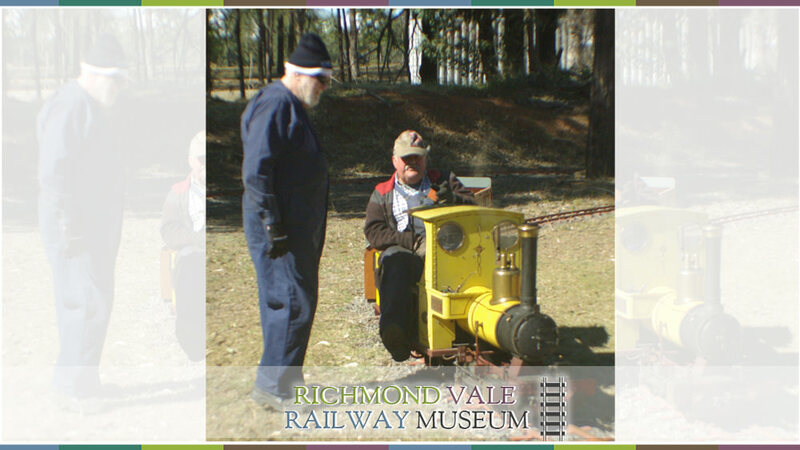 Emily is a bright yellow petrol-mechanical locomotive to the outline of a small shunter. Rides are available throughout our open days. A gold coin donation towards operating costs is appreciated.